There are six main designs of shutter available in our collection, each of which has a slightly different purpose or effect. 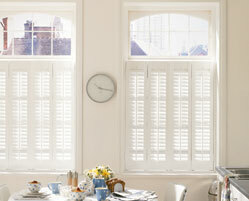 These shutters work well on large windows, as well as patio doors. They consist of a single full height panel of shutters which covers the whole window, often with a divider to provide support, and allow you to make light adjustments to individual sections. They are a versatile and popular style. 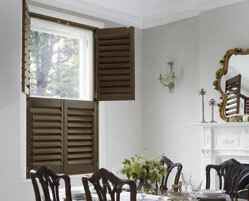 Two sets of shutters, one on top of the other, to create a two-tiered effect where the top or bottom panel can be opened separately. This allows you to have the top open to enjoy a view or let in light, and keep the bottom closed for privacy, or however you want them. 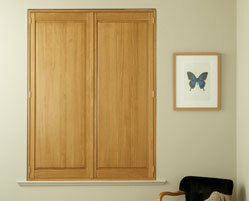 They are a versatile choice, especially popular for bedrooms or other areas which demand privacy. 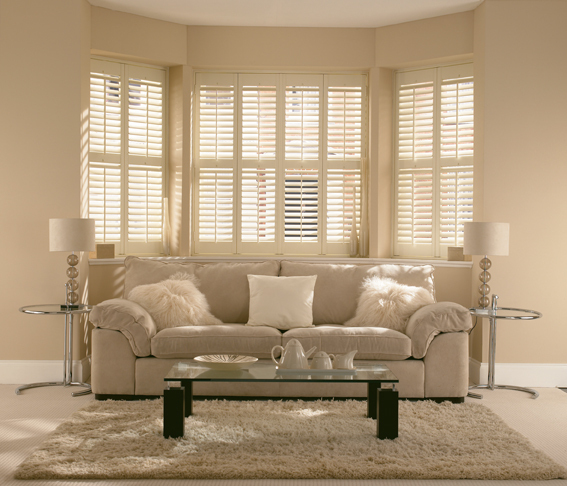 A beautiful, great value option as the shutters only reach partway up the height of the windows, creating privacy at the lower half and allowing plenty of light to flood through the upper half. A stylish, continental design. They don't have slots to control light, but are simply solid panels which can be opened or closed. These are ideal for draught prone windows to help insulation, or to give extra privacy in your home. These shutters are ideal for patio or sliding doors, as they can be opened fully in the day time to let in light and gain access through the doors, and then close them at night for security and privacy. 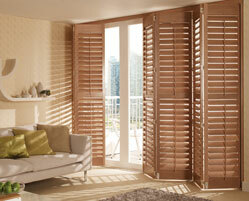 Folding tracked shutters are also available. Our custom made special shape shutters are designed to fit any window shape and can be a practical and stylsh solution for even the most difficult windows. See a shutter you like? Contact us today to arrange installation.